Today we are going to teach you about most important area. It’s Practicing Music part. You know, Music is such a vast subject that for anyone, even the professionals. With years of work someone can be very knowledgeable in specific areas of music but it would take more than a lifetime to understand every aspect of an instrument or music theory. This articles offer very useful tips on practicing music. So everybody can easily catch these important points. 1. Firstly set your goal. If you have set a goal to reach you will be more willing to put in the work required to achieve it. Some examples of goals could be to learn the song you’ve fallen in love with, to be able to sight read in a certain key, to develop faster or to reach a different exam grade before a certain period. Another valuable benefit of music practicing a little often is that your concentration levels are kept up throughout your practice session. The knock on effect of this is that the longer you practice without a break, the more harm ultimately you will cause yourself, both mentally and physically. It will knock your spirit and even damage to your embouchure. In fact this applies to all instrument groups. The primary cause of this is improper technique but as the name implies too much repetition through a movement can create serious effects. Therefore if you are practicing for longer time periods, be sure to take breaks: 6 to 12 minutes for every 40 minutes for adults and 10 to 15 minutes for children. 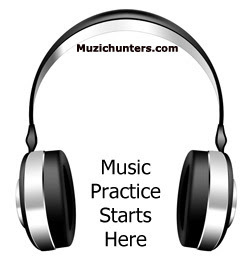 Make a schedule for music practicing. That makes a better way for practicing. If you set aside a time each day to practice, away from distractions if possible, you will get into this routine making it easier to practice, it becomes a part of your day to day life. 4. Practice with a partner. Search some music lovers for practicing music and set challenges between you both and find some gift for the winner. The other benefit is that you gain an outsiders opinion on your playing, the opportunity to practice duets, solo songs and you will have some company rather than being locked away in your bedroom. Thanks for the article. Although thousands of hours will be sacrificed for the ability to play the piano properly, I think it is rather useful. Your article is quite useful to my endeavour.